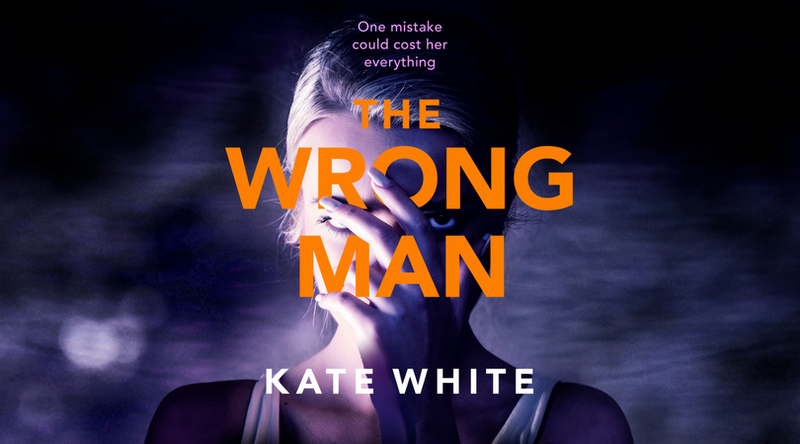 Blog Tour || The Wrong Man by Kate White - Book Review. Happy Monday everybody! 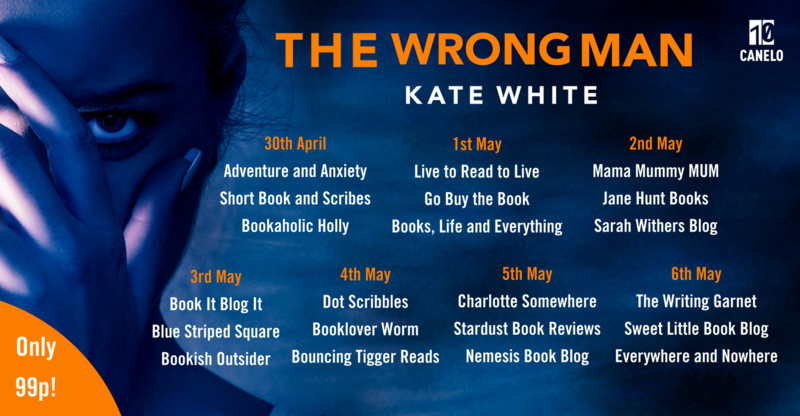 Today I am very excited to be sharing my thoughts on The Wrong Man by Kate White with you, as one of the first stops on Canelo's book tour! Kit Finn meets handsome sculptor Matt Healy on a business trip and the two share a night of passion. They arrange a second date, but when Kit arrives at Matt's apartment she is greeted by a stranger claiming he is the real Matt and that his identity was stolen. For fans of psychological suspense and compulsive mysteries, don't miss this tense and page-turning novel. Kate White is the New York Times bestselling author of twelve works of fiction: seven Bailey Weggins mysteries and five stand-alone psychological thrillers, including most recently, The Secrets You Keep. For fourteen years she was the editor in chief of Cosmopolitan magazine, and though she loved the job (and the Cosmo beauty closet! ), she decided to leave in late 2013 to concentrate on being a full-time author and speaker. Kit Finn is the owner of an interior design company, lives in New York City, and has that feeling we all get sometimes - is life passing me by?! She has never done anything risky or unpredictable, so while on a business trip to the Florida Keys she throws caution to the wind and spends the night with a stranger she meets at her hotel. The two have such a good time that they soon arrange a second date when they get back to New York. But when Kit arrives at his apartment, it is a completely different man who answers the door - and he is claiming that he is the real Matt Healy. Kit is embarrassed but concedes that Mr X from the Florida Keys has, for whatever reason, duped her, so she attempts to forget the incident. But when the real Matt Healy is the victim of a hit-and-run, with her details on his person, she is entangled in a conspiracy much larger than she originally expects. Before long her apartment and business are burglarized, and it is clear she is being targeted - but by who, and why? The Wrong Man kept me thoroughly entertained throughout. As soon as the 'real Matt Healy' opened his apartment door to Kit, I was hooked. The concept of the book felt so original and fresh, nothing like I have read before. Kate White's writing really drew me in; it felt so easy to read and so engaging. The characters were realistic and believable, while the plot was very tense and compelling. I also really enjoyed the pacing of this. I am sometimes used to books moving at breakneck speed, flinging the characters through high-octane dramas one after another. This felt different: there was a lot of detail about Kit's career in interior design, setting the scene of her normal, everyday life. When this normality was disrupted by unseen forces, it gave me a creepy, hairs-on-the-back-of-your-neck-standing-up feeling. It was almost like the feeling of being watched, which definitely spooked me a little! I really enjoyed that this was about a more insidious feeling of "something's not right" rather than a direct, obvious threat. Usually I'm pretty good at guessing the ending of books like this but I definitely didn't work out what was going to happen until a chapter or two before it did, which impressed me. Without spoiling too much, I also really appreciated that the threat was a realistic and plausible one; while I do enjoy a good 'psychopath on a rampage' story every so often, this had a real and believable motive. I have to say that the only thing I wasn't overly enamored with was the main character. Kit is well-written, a totally believable character, and so frustrating! There were times when I wanted to shake her as she willing ignored advice and put herself into dangerous situations. I mean, obviously this has to happen or the book would be hilariously boring ("Kit called the police and they handled everything") but as a total scaredy-cat I was exasperated with some of her decisions. There was also a sub-plot with the mysterious Sasha that I would have liked to have been fleshed out a little. For me, Sasha was one of the most intriguing characters but all of a sudden her character arc turned 90 degrees and went a completely different route from what I was expecting. I think it could have been interesting to have had a little more to her. On the same note, I did feel a bit sorry for the Real Matt Healy - after he is killed there seems to be very little mourning or sense of loss for him haha! Overall though this is an absorbing and satisfying read, based much more in reality than is quite comfortable for me. It was suspenseful while still being a fairly light read, making this perfect for a holiday read on the beach. I'm looking forward to reading more of Kate White's works, as this was a great introduction. Be sure to check out the other blogs hosting The Wrong Man on this tour!